Transportation minister nixes maintenance work planned for Israel's only 'Sabbath observant' port after haredi deputy mayor intervenes. 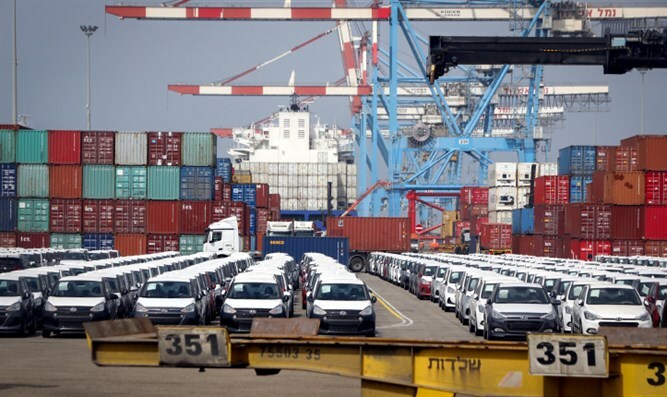 Transportation and National Infrastructure Minister Yisrael Katz (Likud) ordered the cancellation of maintenance work planned for this coming Saturday at Ashdod Port, after haredi leaders called on the government to reschedule the work. Ashdod Port, Israel’s second largest cargo port, is the only seaport in the Jewish state which does not operate during the Sabbath. For members of the local haredi community, maintaining the port’s tradition of Sabbath observance is symbolically important and is viewed as being crucial in protecting the “Status Quo” agreements on religion and state. An informal arrangement between religious groups and the government maintained since Israel’s founding in 1948, the “Status Quo” is a set of understandings regarding the role of religion in the public sphere. While the Status Quo has effectively limited public transportation on the Sabbath to areas where such transportation was already available prior to the establishment of the state in 1948, local haredi leaders pushed to include Israel’s sole Sabbath-observant seaport as well. “The Ashdod Port is proud to be Israel’s leading economic gateway, which engraved on its flag the values of the Jewish state and which observes Shabbat as a day of rest,” Ashdod Deputy Mayor, Rabbi Mordechai Lieberman (United Torah Judaism), wrote in an appeal to Katz. According to a report by Yediot Ahronot, Katz accepted Rabbi Lieberman’s appeal, and has rescheduled the maintenance work. “The Ashdod Port is the only one that does not work on Shabbat and that will continue in this case too,” Rabbi Lieberman told Yediot. Two weeks ago, Katz intervened at the behest of haredi lawmakers to block infrastructure work planned during the Sabbath on Ayalon Highway in Tel Aviv. Work had been planned for the Yehudit Bridge, a pedestrian bridge above the highway.